QUESTION: Mr. Armstrong; I take it your concern over Trump from the market perspective is the sheer uncertainty that is evolving. How do you see this playing out for the world economy? Thank you. I agree. These people who hate Trump just hate him so passionately. 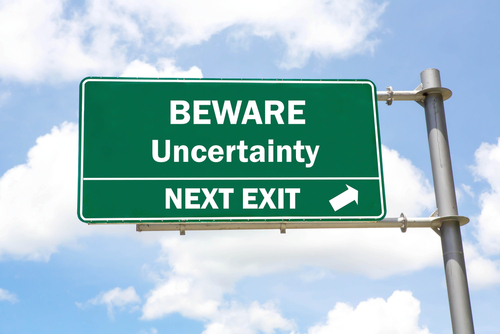 ANSWER: Markets do not like UNCERTAINTY. These people who want to see Trump gone have no clue what may result in the aftermath. My concern is global. This is far beyond Trump. We have chaos in Turkey, Argentina spilling over into other Emerging Markets. We have politicians trying to punish Britain and German companies asking what are they just nuts in Brussels? Britain is the BIGGEST market for Germany cars in Europe. We have building uncertainty in Southern Europe. We have the head of Australia playing the game of musical chairs. We have new political parties emerging in Canada and Ireland. We have private debt concerns in China. We have South Africa following the mistakes of Zimbabwe and we have major change sweeping the Middle East. The discontent in Iran is building toward yet another revolution and in Japan, Abe Economics is failing. South America is in turmoil which has spread even to Mexico. In all honesty, throughout my career, there have been places that are in turmoil and it was crystal clear where capital would move. I honestly have to say I have NEVER witnessed a period quite like this. There is no place that is a safe haven at this point. The entire world is just coming unglued. All we can do is now rely on the computer for personal opinions will be probably the most dangerous things upon which to base forecasts. My concern about US politics stems from our computer. Here is the array on 3rd party trends out into 2029. The people who hate Trump so much may be crying later if he is forced out for they will find their lives completely destroyed economically if confidence in government collapses as they try to put in one of their own career politicians. We have a Panic Cycle arriving in Politics in 2021 and again in 2024. The presidential elections will be 2020 and 2024. Note that both Panic Cycles are aligned with these events. I am NOT joking about blood in the streets. Those who hate Trump so much right now will be the very people hunting others who disagree with them. It will not take much to turn them extremely hateful – that is 100% always the case throughout history.